Page added in May 2018. Photos taken in February 2016. 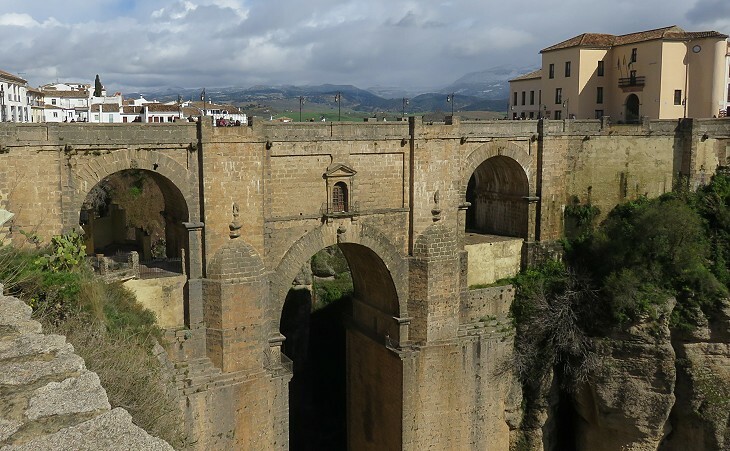 Ronda, say the Spaniards, is the Tivoli of Andalucia, but Trajan (sic! 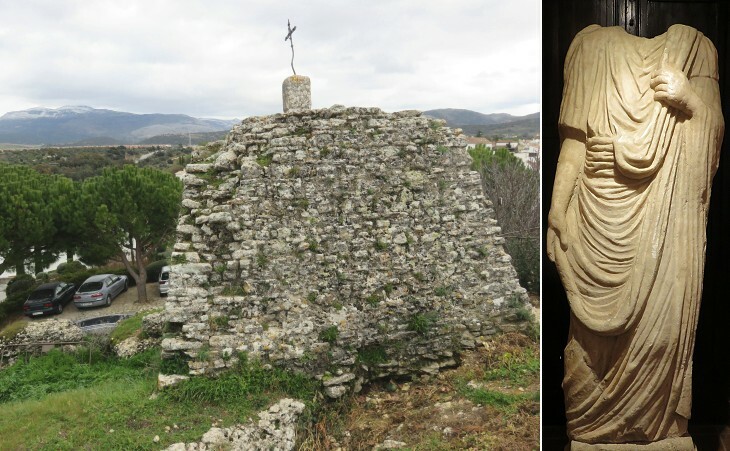 Hadrian), although an Andaluz, built no villa here, and its Maecenas was the Moor, from whom it was taken by surprise by Ferdinand in 1485. 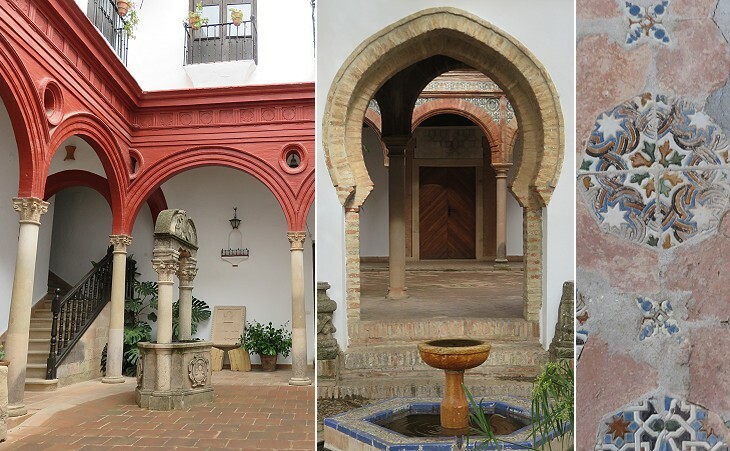 (..) Ronda is the cool summer residence for the wealthy of Seville and Malaga. Being highly salubrious, the longevity is proverbial. Ronda was considered as impregnable. 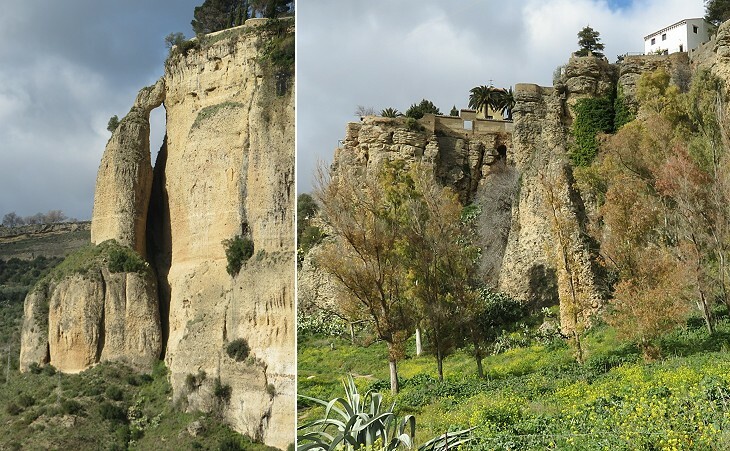 It was situated in the heart of wild and rugged mountains, and perched upon an isolated rock crested by a strong citadel, with triple walls and towers. A deep ravine, or rather a perpendicular chasm of the rocks, of frightful depth, surrounded three parts of the city. 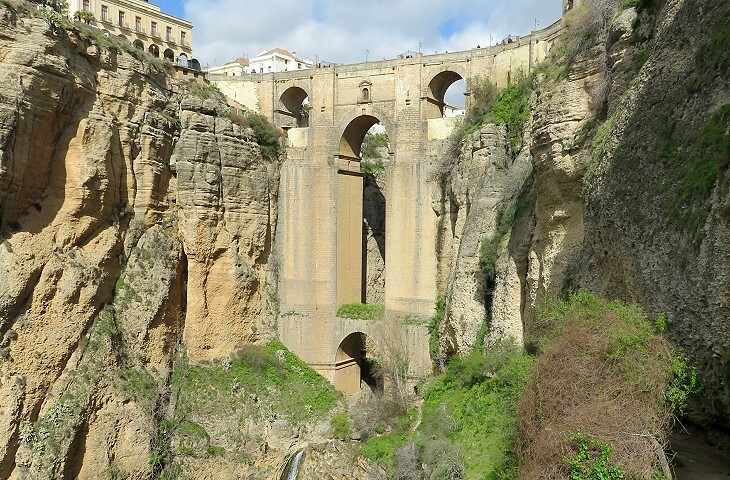 The construction of the bridge required more than forty years (1751-1793) and the account that its architect fell from the bridge is a legendary one as records indicate he died of natural causes in 1802 at Malaga. The well protected rock housed a settlement as early as the VIIIth century BC. During the Roman rule it became a small town known as Arunda. 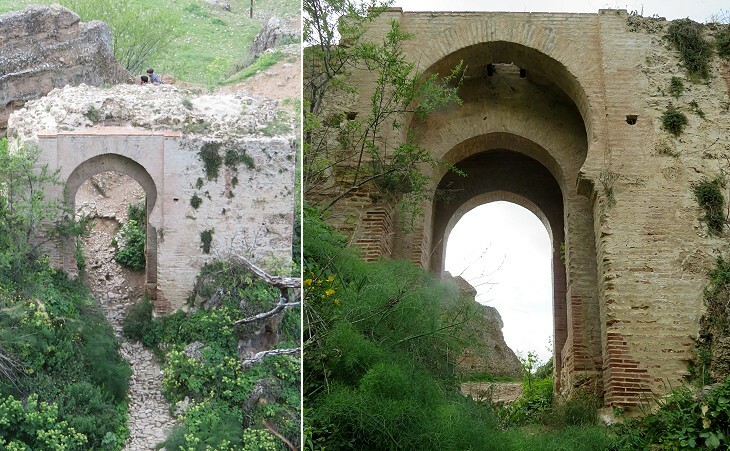 The main evidence of this historical period is a cistern of an aqueduct. Approximately during the IVth century AD the importance of Arunda declined; eventually the site was populated only by peasants. 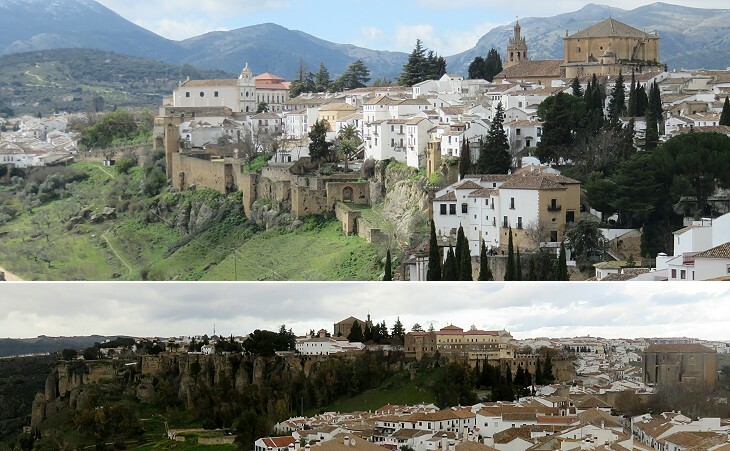 Ronda returned to acquire the aspect of a town in the XIth century when it became the seat of a taifa, a small emirate run by the Banu Ifran, a Berber tribe from Algeria. 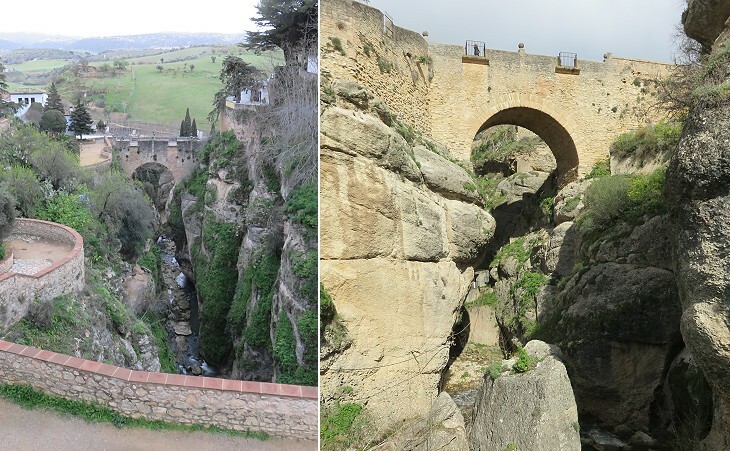 Madinat Runda, the Muslim town, included a neighbourhood at the foot of "El Tajo" where a stone bridge was built. Travellers could rest at a bath establishment near the bridge. It is a relatively large complex. It was abandoned after the Christian conquest and eventually it was covered by debris carried by floods. It was discovered in the early XXth century; the area was acquired by the State in 1935 and subsequently excavated. 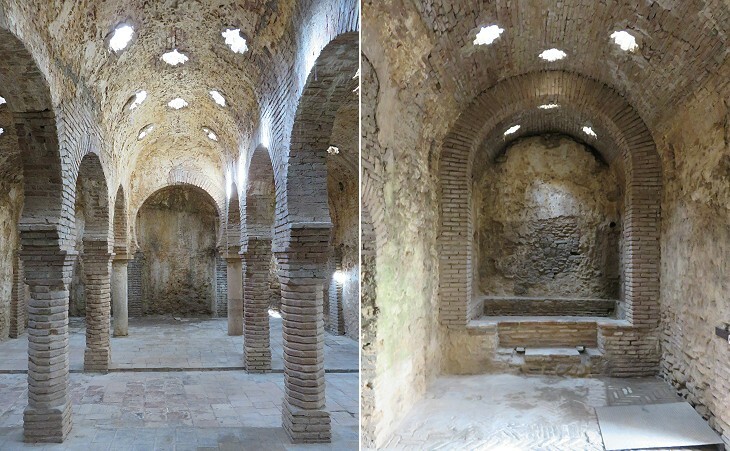 It has the three usual halls (hot, tepid and cold) of the Roman tradition and it is the largest and best preserved Arab bath establishment in Spain. 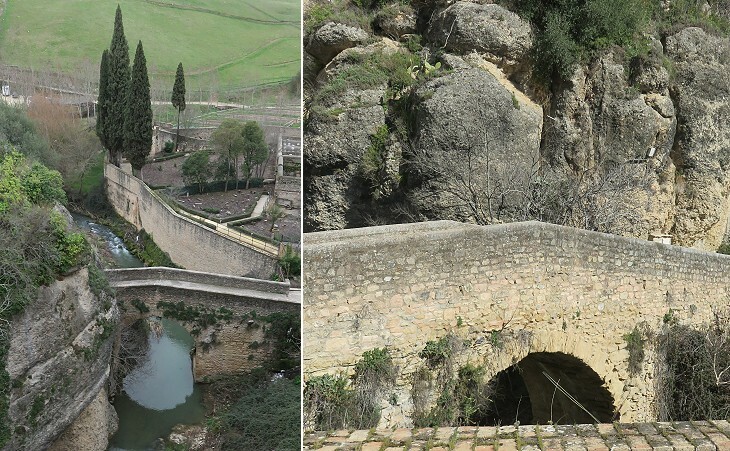 Ronda knew a major development when it became part of the Emirate of Granada in the XIVth century; this bridge was most likely built at that time, although it is also referred to as the "Roman Bridge". After the conquest of Tarifa in 1292 by Castile, the Emirs of Granada could not receive help from other Muslim states. An attempt by the Marinid Sultans of Morocco to gain control of the European side of the Strait of Gibraltar failed in 1340. Notwithstanding their isolation and a number of civil wars the rulers of Granada managed to retain their independence for 200 years. 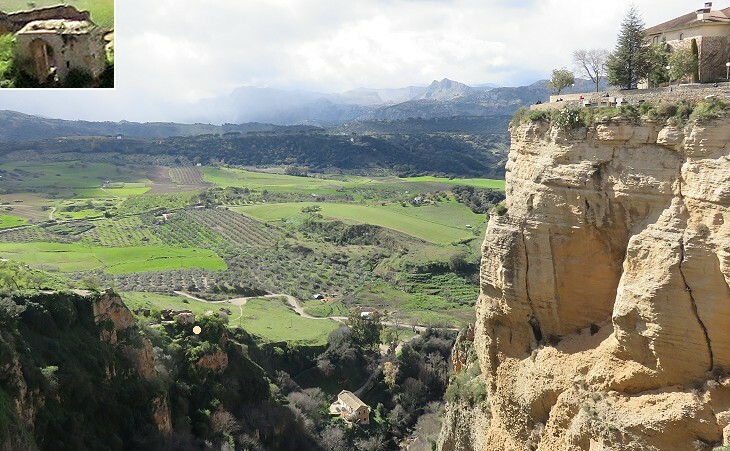 In this long struggle Ronda played a key role as it was the westernmost town of the Emirate. Imposing towers protected the Almocabar Gate, the southern access to the town, the only one which did not have the natural defence of the ravine. 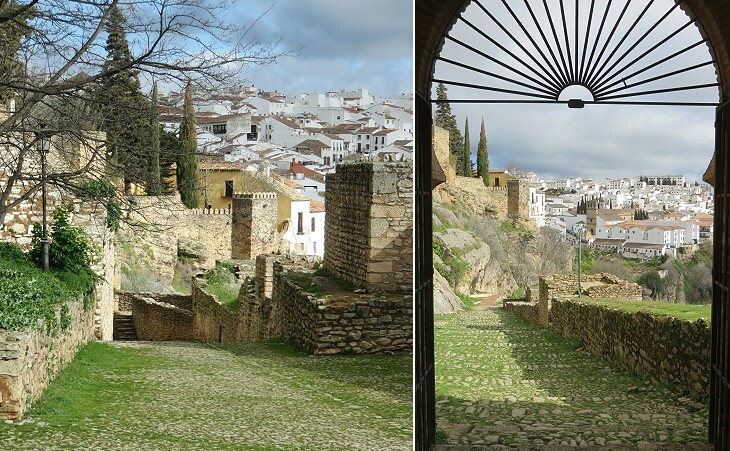 The gate was redesigned in the XVIth century and its current Moorish aspect is the result of changes made in 1964. The northern end of the town did not require fortifications because the defence was granted by "El Tajo", but the western and eastern sides were protected by walls. 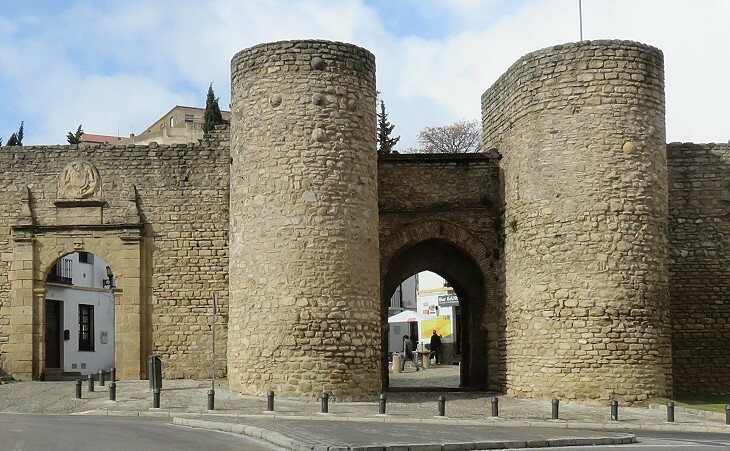 A series of tower and gates protected the access to the town from Puente Arabo and the neighbourhood of the baths. The western side was protected by walls which went down from the top of the rock to mills in the valley to protect these facilities and to include some fields where cattle could be kept during a siege. The imposing gate on this side was a triple one (see that at Puerta de Sevilla in Carmona). A small minaret which was turned into a bell tower and some elements of the main mosque which were incorporated inside a church are among the few remaining traces of the Moorish period in addition to the urban layout and the fortifications. A large palace which now houses the Museum of Ronda was built in the XVIth century on the site of that of the Arab governors of the town. 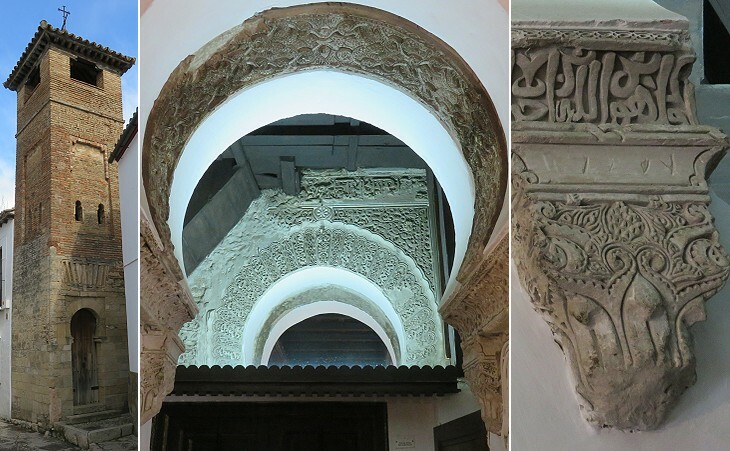 It can be regarded as an example of Renaissance style, but some parts were designed in the Moorish one. The Real Maestranza de Caballeria de Ronda was founded in 1572 by the local nobility. 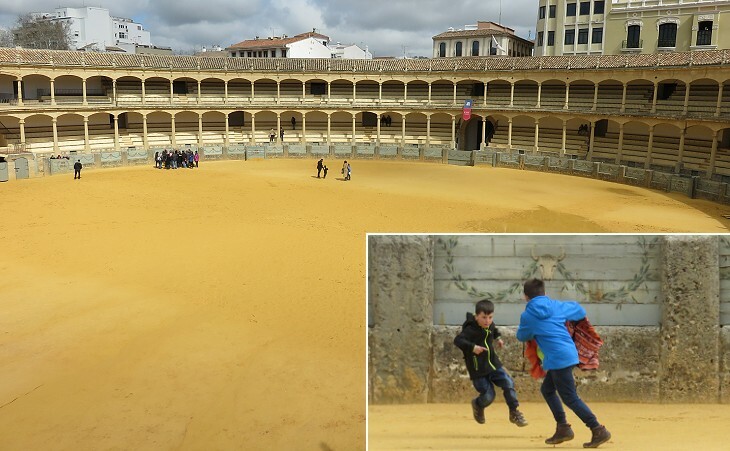 There is one town that would be better than Aranjuez to see your first bullfight in if you are only going to see one and that is Ronda. That is where you should go if you ever go to Spain on a honeymoon or if you ever bolt with anyone. The image used as background for this page shows a 2005 statue by Nacho Martín outside Plaza de Toros which depicts a Toro de Lidia, a Spanish fighting bull.